With serene beaches and great waves, Costa Rica offers some of the best surfing experiences in the world. For decades, surf enthusiasts have been venturing to Costa Rica in search of world-class waves. With a seemingly endless list of incredible beach destinations offering some of the best surfing in the world, you may need some help planning stops for your next surf trip. Here is our list of the best surf sites in Costa Rica, highlighting a variety of beach vibes and skill levels. One of the only destinations in Costa Rica purely dedicated to surf, this remote town is a real haven for an authentic Costa Rica surf trip. You won’t find many other tourists here—just surfers dreaming of the same paradise. Surfing waves in Costa Rica are suited for beginners to advanced. 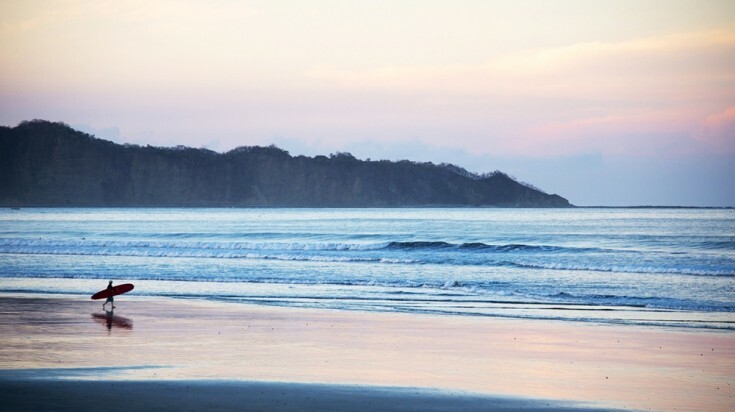 Perhaps the most ideal Costa Rica surf destination, Playa Guiones sports consistent rolling waves perfect for surf connoisseurs and first-timers alike. 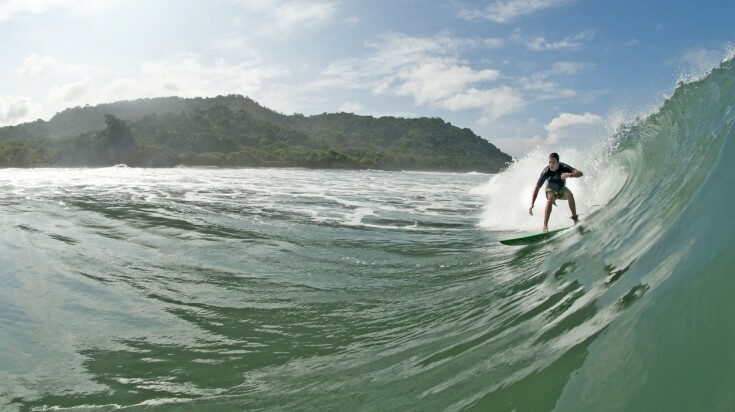 Surf enthusiasts who visit the Nicoya Peninsula always head first to this secret surf paradise. Surf here amidst a backdrop of an iconic massive rock formation jutting from the sea. This sandy bottom beach break is well-known for offering consistent waves year-round. 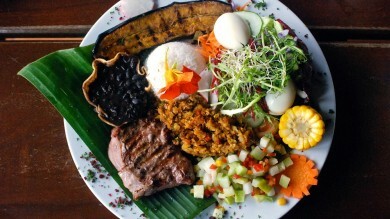 Playa Jaco has a lively nightlife, amazing food and great beaches to surf in. Being the closest beach to Costa Rica’s capital, San José, Playa Jaco is a booming destination for a variety of tourism activities. The sunsets are nice, the parties are big, and the beach offers a good variety of waves for surfers of any skill level. 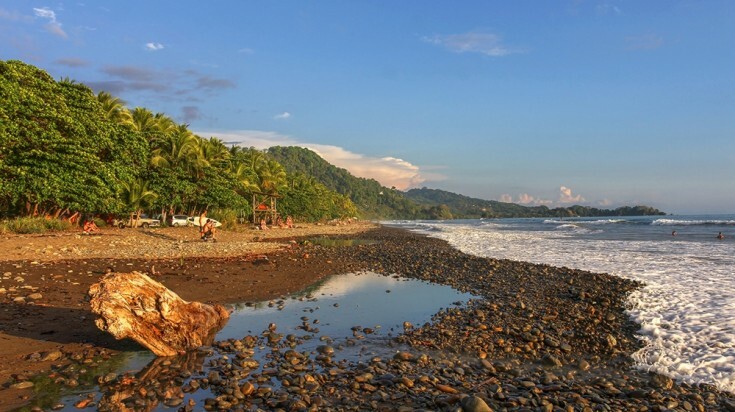 Not to be confused with Playa Hermosa de Dominical, this beach just outside of Jaco is highly regarded as one of the best of Costa Rica’s surf spots. Home to the annual International Quicksilver Surf Championships, it offers a strong break and high waves that attract international attention. The waves here can be ferocious and should not be attempted by beginners. A surfer attempting to surf a barrel wave. Enjoy gorgeous beaches and excellent waves with fewer crowds in this small laid-back town. With more than 20 breaks, Malpais offers a good variety of options perfect for learning or for rising to a challenge. 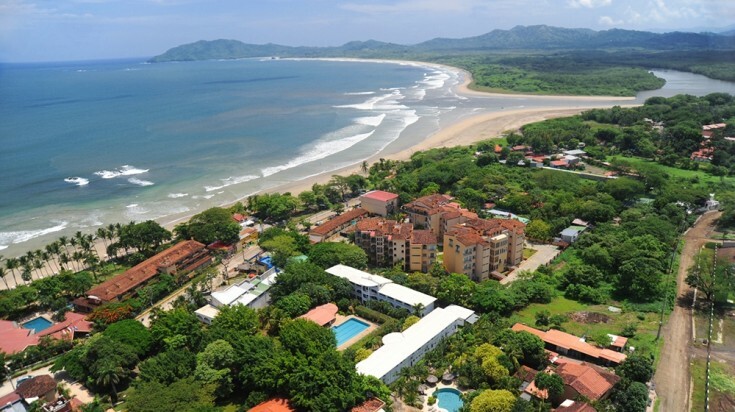 Tamarindo Beach is a mix of surfer's paradise, vibrant nightlife and every outdoor enthusiasts ideal vacation spot. With varied breaks and a well-developed town supporting tourism, many surfers consider this beach to be Costa Rica’s surf mecca. A typical day here includes surfing throughout the day, eating fantastic food, then partying the night away. Many surf camps base out of Tamarindo. Several breaks line this picturesque shore, but it is famous for its powerful barreling wave, lovingly referred to as “Little Hawaii.” Big swells here offer some of the best surfing in Costa Rica for all levels. 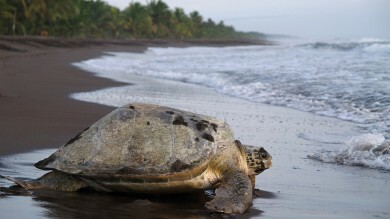 Puerto Viejo is a popular destination known for barreling waves. Puerto Viejo has been a famed surf destination for years and its notorious barreling wave, Salsa Brava, is famed as the biggest and most powerful in Costa Rica. Here, you’ll need some expert grip, but other breaks nearby offer good surf for beginners too. 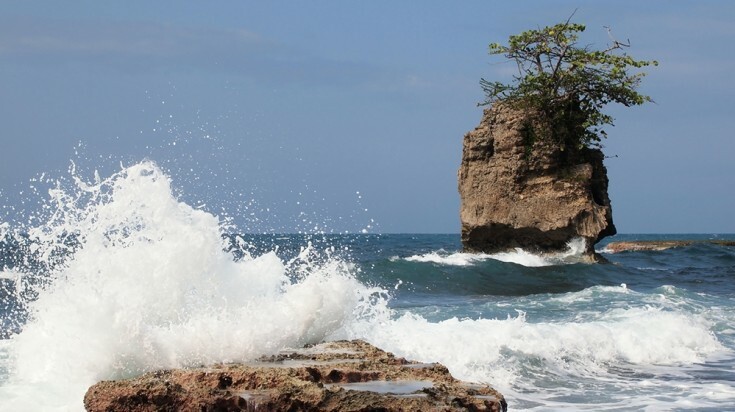 Playa Dominical is a good spot to surf the waves or to simply enjoy the serene beach. 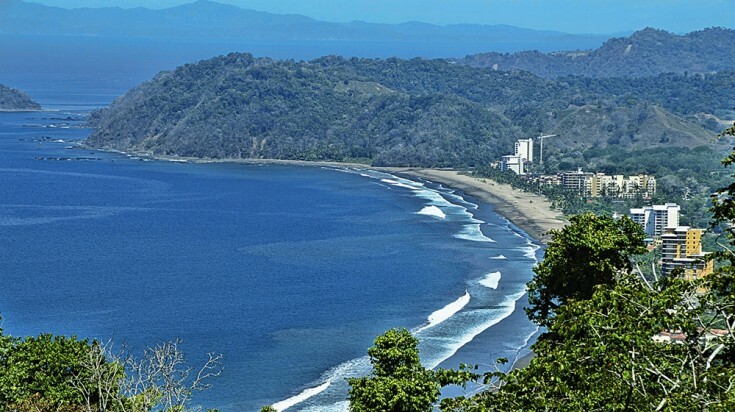 One of the best surf spots in Costa Rica known for its consistent waves, Playa Dominical offers excellent surf in one of the least developed regions of the country. Surf one of the country’s most challenging waves or relax under a palm in this authentic Costa Rican paradise. Attracting tourists of many types, Playa Santa Teresa is a popular surf destination for intermediate and expert surfers. Hollow waves at low tide are fast and swift and surf is steady throughout the year. Smooth, constant waves are perfect for beginner surfers or children. A paradise for watersport enthusiasts of all sorts, surfing is just one of the delights that visitors to Playa Samara can enjoy. 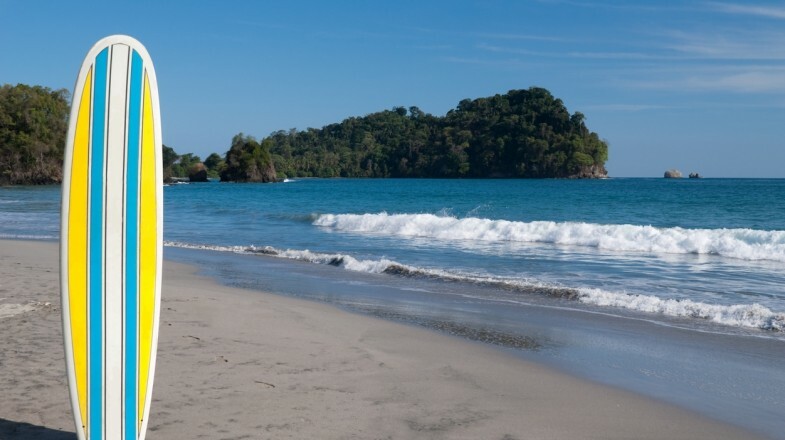 In comparison to many of the surf destinations in Costa Rica, the waves here are soft and smooth, providing a perfect spot for novice and children to learn. Intermediate surfers will enjoy the fun too! Whether you’re seeking out your first waves or are daring to attempt some of the world's’ most challenging waves, the best surf spots in Costa Rica will thrill you. With these destinations in mind, planning your surf trip will certainly make for a swell time!